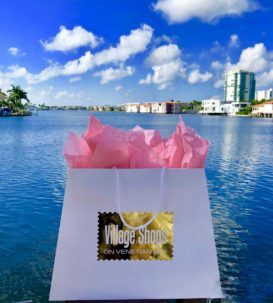 On Wednesday, September 5th, the GFF Club of Naples spent the day shopping, dining, and taking in waterfront views at The Village Shops on Venetian Bay. 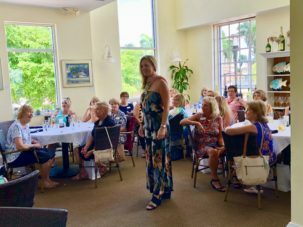 The GFF Club of Naples, standing for Girlfriends, Fun, Forever, is a women’s social group, with a mission to foster close, supportive, long-term friendships while having fun! Their day at The Village lived out their mission and consisted of just that…fun! 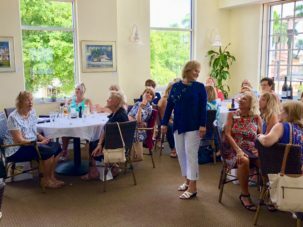 Upon their arrival at Bayside Seafood Grill & Bar, the ladies were greeted with waterfront views and goodie bags full of treats, compliments of The Village Shops. After catching up with friends, they took their seats at the Grill, Bayside’s signature fine dining space, located on the second level, offering a sophisticated setting for lunch, dinner, and Sunday brunch. 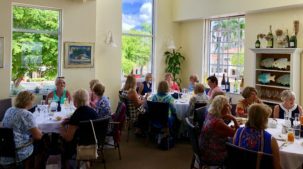 Judging by the wave of silence that passed as the food came out, the ladies thoroughly enjoyed the many delectable seafood, salad, sandwich, and specialty items from the lunch menu. At 1pm, Patchington delightfully surprised the ladies with an exclusive fashion show and promotional offers. 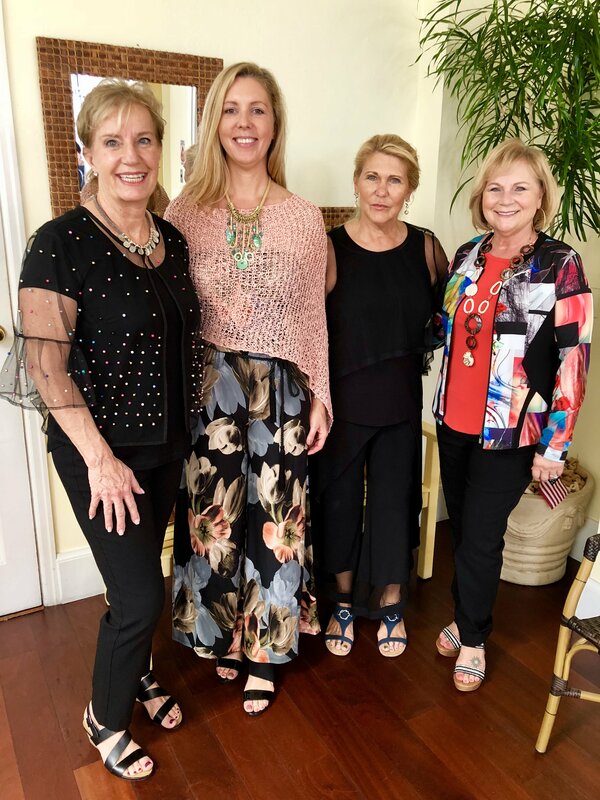 Four models strutted around the tables showcasing the latest fashions that recently hit the shelves while a Patchington Stylist provided fashion commentary of how to style each look. The Patchington Fashion Show was a huge success, with several looks from each model, consisting of both apparel and accessories! The girlfriends, with goodie bags in tow, headed out to find their favorite look from the show and enjoy the rest of the day on the Bay!